All the necessary information at your fingertips with Travel Agent. A powerful tool featuring a database and a scheduler, the program is a must-have for tour operators. A comprehensive solution, the program allows creating the database of tourists and storing any information on them. No complicated forms to fill out, no restrictions on the format. Handy features and user-friendly interface make the program essential for business management. 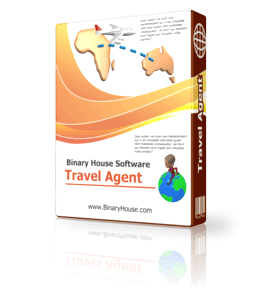 It is absolutely essential for tour operators and travel agents, as it provides them with a tool to organize the business and to manage it effectively. 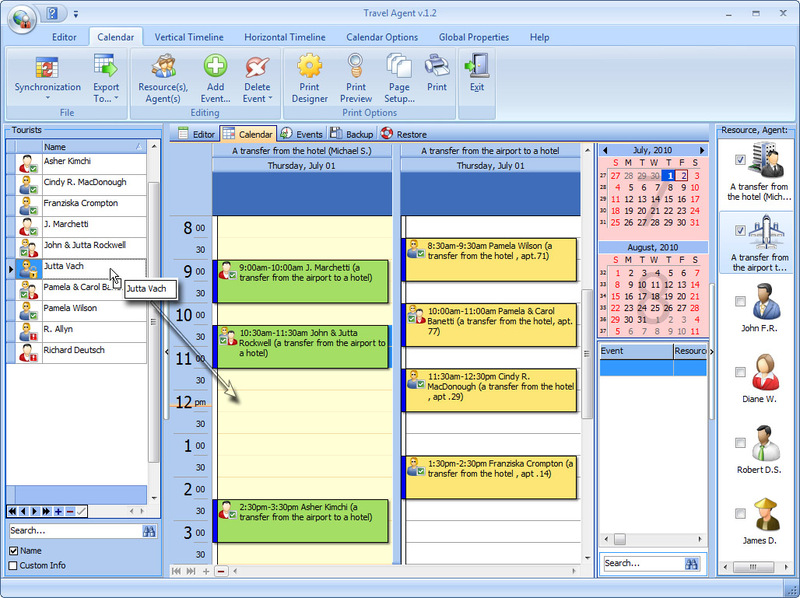 A built-in scheduler allows managing the appointments and using your working hours in the most efficient way. You can also drag and drop the objects to appropriate time slots; it makes setting appointments extremely easy and convenient. Not only will the scheduler remind you of the appointment, but also it will show you all the essential information on the object the client is interested in. It’ll store the information about tourists, such as their reservations, transfer info, address, medical info, personal notes and comments. Add as many comments as you wish, including pictures. The software supports most of the formats, including DOC, HTML and iCalendar therefore importing information from web-sites, forums and conferences is very simple. Such highly professional yet personal approach will be appreciated by your clients. For those people, who work in Microsoft Outlook, it’s possible to export data. Export of data is available to different formats: iCal, XLS, TXT, HTML, XML, PDF for its adaptation for other programs. Available is an automatic search and auto-field filling for a client, who has already been entered to the database. You can swiftly print what you want in the way you want. You will certainly appreciate that the creators of the program have done their best in making auspicious working conditions.